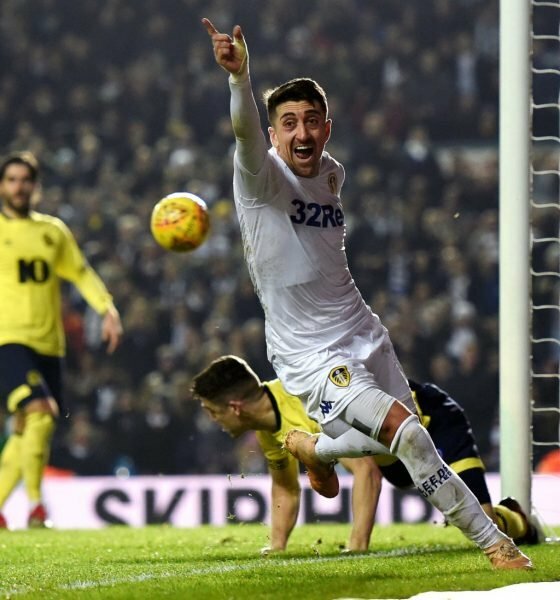 Pablo Hernandez has been amongst Leeds United’s most consistent players this season in the Championship, something that’s recognised by supporters. Leeds’ Spanish winger picked up August’s PFA Fans’ Player of the Month award, with the same gong going his way after a fine month in November. This week, Football League World caught up with Hernandez at the presentation of November’s award, with the 33-year-old delighted with the recognition. “It’s a pleasure for me to receive this award,” Hernandez stated. “It’s always positive for a player if the people give him this trophy because it’s a signal I’ve played good and I helped the team to win games. November was a good month for Leeds on the whole, with Marcelo Bielsa’s side winning three of their four fixtures. Hernandez scored three goals and registered one assist in the month, with the 1-0 victory over Reading the only occasion he wasn’t involved in the scoring. The talented Spaniard highlighted that getting involved in the goals was what he enjoyed most in the month. “It’s a long time ago, but I remember some good games in November,” he continued. Since the month of November, Hernandez has scored just once, but he’s continued to assist and played a part in some big moments for Leeds. He’s grateful to the fans that recognised his contribution in November, insisting that he will be looking to add more to his collection before May: “I want to thank all the fans for helping me win this trophy.